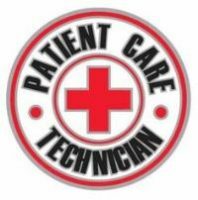 A Patient Care Technician (PCT) is generally found in the following settings: Hospitals, Nursing Homes, Outpatient Medical Clinics and Private practices. Patient Care Technician will spend the majority of time performing clinical duties related to patient care. The PCT may take a patients vitals sign, administer medications, perform phlebotomy and EKGs duties. PCT may also assist patients with certain aspects of their physical therapy or rehabilitation exercises. Patient Care Technicians perform clinical duties related to patient care: take vital signs, administer medications, and perform phlebotomy and EKGs duties. PCTs may also assist patients with certain aspects of their physical therapy or rehabilitation exercises. Patient Care Technicians work in the following settings: Hospitals, Nursing Homes, Outpatient Medical Clinics and Private practices. After completion of our Certified Nursing Assistant (CNA), Phlebotomy and Electrocardiograph (EKG) programs, the student will qualify to take Patient Care technician (PCT) License Exam. Flexible payment plans available. Job Placement Assistance Our hope is that you will be motivated to advance further in your career and will enroll into our HealthCare degree programs. High graduation rate at ASA is indicative of the success of our comprehensive approach to education! Registration Photo ID, Social Security Card, Immunization Record.